Wajir County Governor Ahmed Abdullahi has decried the number of new HIV infections in Wajir which has now increased despite the latest reports indicating that despite the county's less than one per cent HIV/Aids prevalence rate which is the lowest in the country. Governor Abdullahi made the remarks when addressing local residents during the commemoration of World's Aids Day in Wajir on Monday. By the end of 2013, he said, there were an estimated 70 HIV/Aids-related deaths in Wajir, because 75 per cent of those who test positive do not seek medical attention immediately. “We have witnessed an increase in HIV testing and counseling from 10 per cent in 2008 to 35 per cent in 2013, meaning more than 60 per cent of the people in our county have never had an HIV test,” Abdullahi said. He asked the residents to stop denying the existence and effects of the disease. “It is rapidly spreading amongst us and we must change our behaviours and norms,” he said. Abdullahi warned residents against stigmatizing HIV/Aid patients, saying it has fueled the increase in the new infections and deaths associated with the pandemic. “We must stop the stigma against the people living with HIV, more so, those who have declared their status publicly and are part of the campaign against the disease,” he said. There are misconceptions in the county about how HIV is transmitted, especially among the uneducated, who believe it is a punishment from God meant only for adulterers. HIV/Aids patients therefore face ridicule. Abdullahi said in the last three years, 48 children were born to infected mothers in the county but successful interventions for preventing mother to child infections kept the children safe. “This makes the dream of having an HIV free generation in our county really possible,” he said. Abdullahi said his government "will fully implement" the Kenya Aids Strategic Plan as a measure to curb the spread of the scourge. Since his election, he and his Executive Committee have more than what they pledged the voters during his campaigns. But what makes his leadership abilities and achievement more different from other leaders is experience in public management and expertise in the field of financial management. 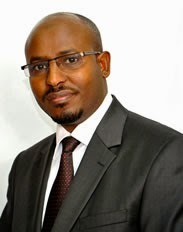 He is a holder of MBA from Strathmore Business School and BCom from the University of Nairobi and CPA (K) & USA. Abdullahi is an independent-minded leader with a knack for consensus building. He is a talented manager with over 15 years' experience in financial management as an auditor with Deloitte & Touche, Business Advisor - Barclays Bank and more recently Finance Director Hass Petroleum. He has distinguished himself as a brilliant mind. A strong advocate for devolution as the right prescription that will reverse years of marginalization of the county. He is passionate about steering the County's development with special interest in women, youth and children and addressing the root causes of food security, poverty, illiteracy, infrastructure while strengthening peace and cohesion. Abdullahi is the immediate Chairman of the Board of Directors of the Kenya Industrial Estates Limited (K.I.E) and is married with four children.